The Editorial license seems to live under a cloud of confusion, but it is really, really easy to understand parameters of its use. Editorial images can not be used for any commercial use. Royalty Free stock photos can be used for commercial purposes, but not on resale/retail items. Editorial licenses are just that, images that can be used for editorial purposes only. Editorial uses are places where there is an article, a commentary or description. If you will using the image for any commercial non-resale purposes you will need a royalty free image. The list is long and includes themes, templates, marketing campaigns, website images, etc. If you are not sure, either ask the stock photo agency or purchase an image with a royalty free license just to cover your company. Most stock agency websites that sell editorial images will enable you to search only royalty free images if you are still not clear on the uses of editorial licensed images and do not want to be in a position to decide on an editorial or royalty free image. Why are editorial licenses different? As a stock photography buyer, you only need to understand how you can use an editorial licensed image. The stock photo agency determines for the buyer how the stock photo is licensed. For the curious buyer, here is the reason why editorial licenses are different and how a stock photo agency determines if a stock photo is issued with an editorial license or a royalty free licence. 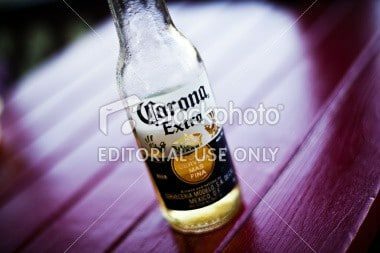 These stock photos may contain identifiable brands, locations or people without the proper legal releases, all things required in royalty free licenses but not required in editorial licenses. Example. If a photographer takes a photo of a table and there happens to be a beer on the table and the brand is showing, this is for editorial use only. You might want to check out this post to know more about these license. If a photographer takes a photo of people playing on the beach and the photographer did not get signed releases from the people, this is for editorial use only. 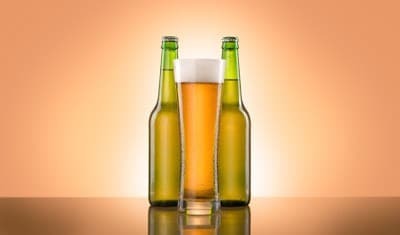 If the photographer took the same photo of a beer and did not have the brand in the photo, it would be a royalty free licensed photo. If the photographer took a photo of the people playing on the beach and was able to get a signed model release, this photo could be licensed as royalty free. 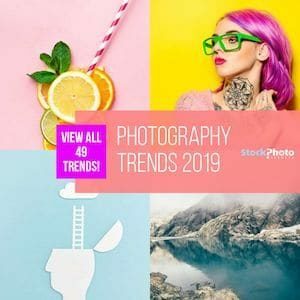 The stock photography agencies that offer editorial licensed images are iStockphoto, Dreamstime and 123RF. 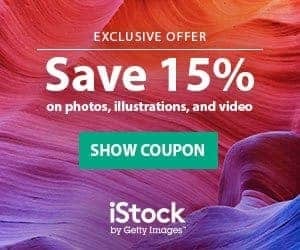 Check out this licensing option and see if the stock photos that fall under could be useful for your editorial content. Good article, as it helps clarify the difference between the two. This was a long time coming, the ability to use editorial images. Can editorial images be used on a digital magazine cover? thanks for your question. Usually a editorial image can be used on a magazine cover, if digital or printed. It can not be used in a commercial way i.e. to create a advertisement etc. Well isn’t a magazine a commercial source? I mean, you pay money for it right? I’m a bit confused. Also, if I have a digital and print magazine + website, especially if it’s a non-mainstream magazine, not just news, but let’s say, informative subjects, like science, spirituality, technology, in what category do I fall, editorial and/or commercial? A commercial usage would be necessary if you i.e. create a advertisement to be printed in a magazine or if use it in any commercial way to show i.e. your own products or services. It’s pretty easy to check: A.) If the image is only there to be a descriptive small part for an article (it do not depend where it’s published) then you usually can use a editorial license (which comes with more restrictions than a commercial one). B.) If you need to use the image for an ad, a poster a flyer a banner or anything related to a commercial usage i.e. for your brand or product or company you need a commercial license. To explain it visually: You are writing an article about the latest changes at Facebook. You could use a editorial image of Facebooks website or Headquarter or anything related. But if you would create a Ad for your own business to tell that you are on Facebook now you would need to use a commercial license and you will be actually not allowed to use i.e. a headquarter photo of Facebook in your ad. Hope that clarifies it better. Sorry but it’s not a easy topic. party or the license of these rights…” So in this case I think it would be safer to mention the source, just in case….right? Hi Andrei, you are welcome but I need to say that you are mixing up things a lot here. It’s fairly easy: Editorial Images: You can not just slap a logo on them and put it on the cover of a magazine. This would require a commercial image license (check out the license agreement first) but you could probably use a editorial image of, let’s say, Facebook headquarters if the cover story is about Facebook (still different license limitations apply here which you need to check with the agency you are buying from). Creative commons are a totally other type of license and they (usually) need to be used or credited completely differently. Hope that helps! Hi Kristine, I would ask the newspaper who shot the photos and how owns the copyright. Sometimes, even “old” and images with expired copyright might have a extended copyright on them. That is the most safest way to use them. Hope that helps. (I’m not a lawyer nor do I know all the copyright laws in your country). Hi … I’m looking for historic images from the 1930’s for a printed mural in a commercial establishment … can I use Royalty Free images or do I need an artist release? It’s hard to say since I don’t know all the exact details but I recommend to only use royalty-free stock photos for this usage. It do not sound like an editorial usage which is usually only allowed in blogs, magazines, books etc. Thanks for explaining this simply. I get confused where it comes to “when to use which photos”, which is funny, since I do stock photos myself. It’s been a while since I’ve tried to sell them, but I’ve been working on my website and thinking about selling them again. Since I take them and make them, might as well. It’s the fact that many blogs are selling something that throws me off. But I get it the way you put it. If it’s advertising something you are selling, it’s not ok to use a royalty-free editorial photo, use a royalty-free stock photo. So, if I am writing a blog post about “Being Cool in the Summer Heat” for a website that sells summer shirts, and I need to make a reference to someone drinking Icees, is it OK for me to post a royalty-free editorial photo of an Icee if the shirt is not being sold on that page? This brings the Icee itself into question. I will look to see if you have more articles in this area, because I am very interested in this subject, and have trouble finding easy-to-read articles that explain this well. They often seem written by poorly paid bloggers who don’t really know what they are talking about. You may hear more from me. You need to see editorial photos more like photos for news or actual things happening in your town, area or industry. Thats why most blogs use royalty-free stock photos instead of editorial photos because they can 1.) Edit them if needed 2.) Have less limitations how and where to use them 3.) less issues afterwards. Hope that helps. Hi Amos, interesting article and something that I’ve struggled to completely grasp in the past. Say for example I run a commercial football website, ie I have a website based around the world of football and on this website I have various adverts and promotions in amongst the content. However, the website itself mainly consists of various news articles, either match reports or injury news or tranfer speculation – would it be valid to use editorial images in this case, just in the body of the news content and for links through to those particular news articles elsewhere on the site? And the same I assume for editorial posts about football related content? If yes, then that’s great to hear! Would this then not apply if a particular news article is a paid for article, or an advertorial? Is it also all about the placement of the editorial images? For example on a sponsored post, in the sidebar of the page could it contain an editorial image of Messi linking through to a news article about Messi? Sorry for the many queries, hopefully they’re clear in their context though! Hi Bobby, thank you for your question. It sounds like you are more an editorial user than a commercial one. To understand the different let’s show an example: You create a banner for your website which includes football pictures and you use this banner to advertise for your service or anything else you produce, that is commercial usage. 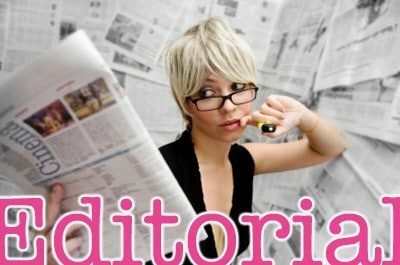 Editorial usage is more like a news magazine usage, so without seeing your website I can not tell 100% but it sounds like you have news about the football industry. That would let you use an editorial picture as well. If you would have sponsored posts, they are commercial right? They are more like an advertisement for a company so I would say no editorial usage! I hope that makes it more clear for you!